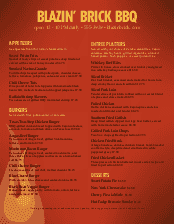 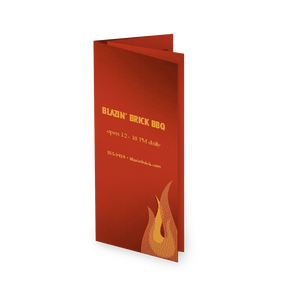 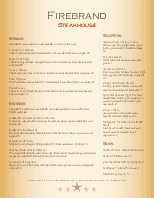 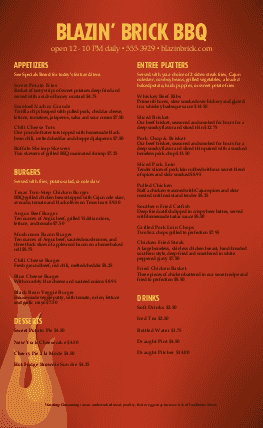 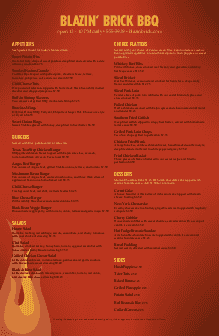 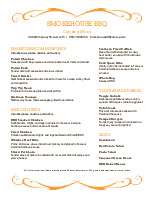 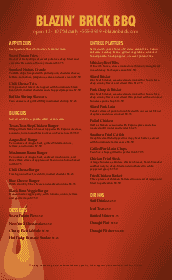 A fiery Barbecue Grill menu design has layers of orange flames flickering up a red page. 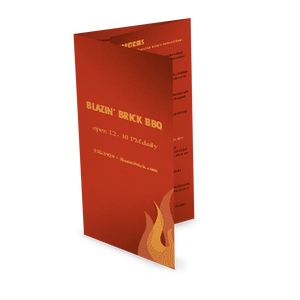 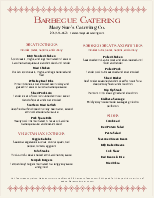 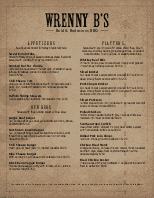 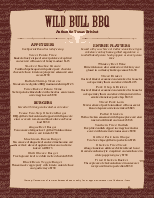 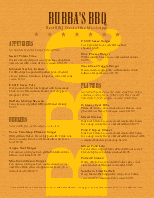 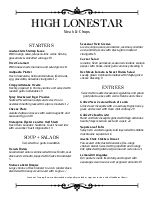 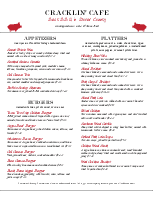 The legal-sized menu (8.5 x 14) showcases the restaurant name and bbq menu items in yellow text. 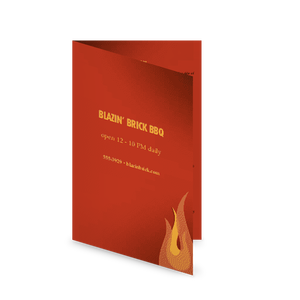 Two columns provide space for bbq catering, bbq platters, barbeque brisket, and more to customize in the online Menu Editor.